Field Trips: Each week the camp offers an optional field trip at additional cost. Some of these trips have limited openings, so we advise you to register for the trip as soon as possible. The camp travels to and from the destination by school bus or van. Upon arrival at the site, the campers are allowed to roam in small groups if they are at least 12 years old. The campers are instructed to stay with their “buddy group” and to check in at designated times. They are instructed as to what to do in case they are separated from their group or if any other problem arises. The campers that are younger than 12 years old are NOT allowed to roam on their own. Instead, these campers are grouped together in small groups and are accompanied by a staff member throughout the day. Our ratio of staff : camper on field trips varies from 1:8 to 1:10, depending on the trip. Please note that on any field trip where there are water slides, although our staff is present, we depend on the theme park’s staff (who are also certified) to handle the lifeguarding responsibilities. Registration forms for field trips are included in the camper’s registration packet. Don’t worry about spending money for the trip ($10 of the cost of each trip is actually returned to the camper at the site to be used for spending money). We ask your cooperation regarding field trips. Please DO NOT attempt to meet the camp group at the field trip site. Often the sight of you can cause your child, who had been fine, to become homesick. More likely, however, is that your child will be fine…it will be another child who sees you and your child together that will become homesick instead! Please fight the urge to join us at the field trip site. Thanks! Store Accounts: Campers are given two opportunities each day to go to the camp store, where they may purchase two edible items each time. They can’t use cash….they just charge it to their store account. Cash is not accepted anywhere in camp. We suggest depositing approximately $25 per week to cover the average child’s spending needs. Part of this amount covers unscheduled special program opportunities that might arise during the week…like unscheduled field trips to bowling or miniature golf, or cabin pizza parties or ice cream hikes that might occur without notice!! As mentioned above, each camper that elects to attend a scheduled field trip, will be given $10 spending money as they are getting off of the bus. Many of the campers stash away extra spending money in their bags to spend on these trips. We don’t encourage this, only because we have had campers lose their “stashed” money and become very upset. We can’t be responsible for any money that is hidden away like this. Camp Photos: Each week Bailey’s Photographers sends us a photographer to take photos of each of the four units. If you have indicated on your options sheet that you would like to purchase one of these mementos, it will be ready for you on Saturday when you pick up your child. for the Saturday night. Most campers elect to go home for the night, however, some do stay. Although limited in nature, there will be programming and supervision (done generally by the directing staff, as the counseling staff are all on their day off.) Generally the group takes the school bus and does something local. NOTE: THERE IS NO STAYOVER WEEKEND OPTION BETWEEN SESSIONS 4 AND 5 THIS SUMMER. All campers for that weekend ONLY must go home and return on the following afternoon. Laundry: Any camper who is staying through for more than one week without going home will have the opportunity of sending out his/her laundry to be done at a local laundromat. Please add an extra $20 to your child’s store account, as we will deduct the charges from his/her account. Bunk 1 Internet Program: Bunk 1 is a program that we joined up with about seven years ago. This company hosts our photo gallery that is updated 2 – 3 times weekly and allows you to send up to 5 e-mails through them to your child. The e-mails are distributed with the regular camp mail, the day after you send them. You can also purchase copies of any photos that you really like. Keep in mind that it is an informal program. We don’t have professionals taking the photos… they are shot by our own staff and even by some of our campers in the camp’s photography program. No guarantee that your child will be in any of the photos… sorry! 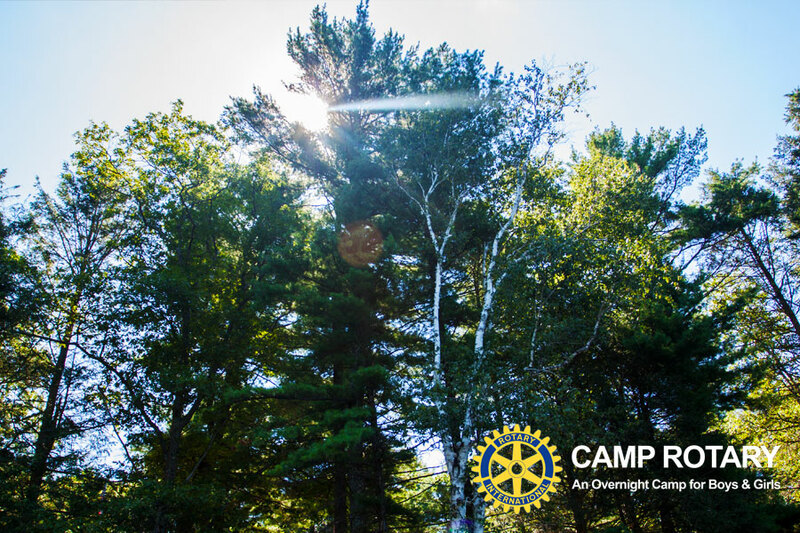 You can register for it by going to our website (www.camprotary.org) and clicking on the flashing “Camper Photos/Camper Email” button. This will take you to the Camp Rotary page on the Bunk1 site. The charge is $15 with the camp receiving a small portion of each registration fee. Bunk1 is paid directly by credit card online to the Bunk1 site.